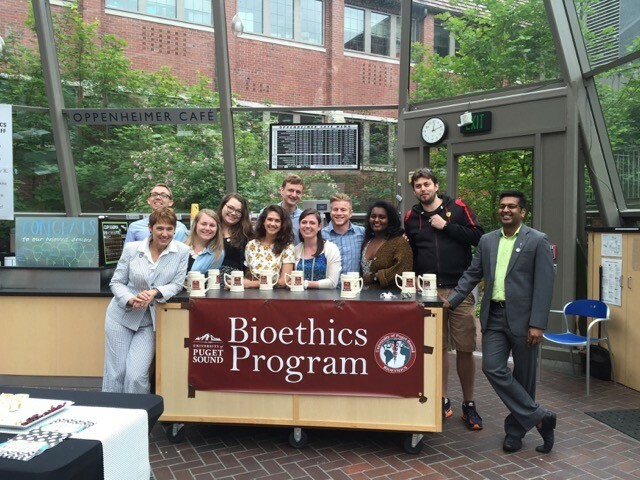 BIOE 392 is an experiential learning course that focuses on the practical application of ethical principles and philosophical reasoning in a clinical health care setting. This course provides the opportunity for students to learn how to identify ethical issues and properly to address them in the clinical setting, as well as to learn the "practical approach" to real-life clinical issues. Students split time between the classroom and the on-site hospital setting at Tacoma General, taking information learned in different clinical settings and learning how to work through ethics issues. Students also learn typical duties of a clinical bioethicist including: consultations, education, and policy development/review. The course is offered as Pass/Fail. The course is not yet scheduled, but the probable day and time will be Wednesday from 2:30-5:00. If you would like to enroll in BIOE 392 please complete the application below! What courses or experiences have you had that have prepared you for this kind of practicum? What are you looking for in taking this particular class? What do you hope to learn, and to be able to do? What strengths or attributes will you bring to this experience?